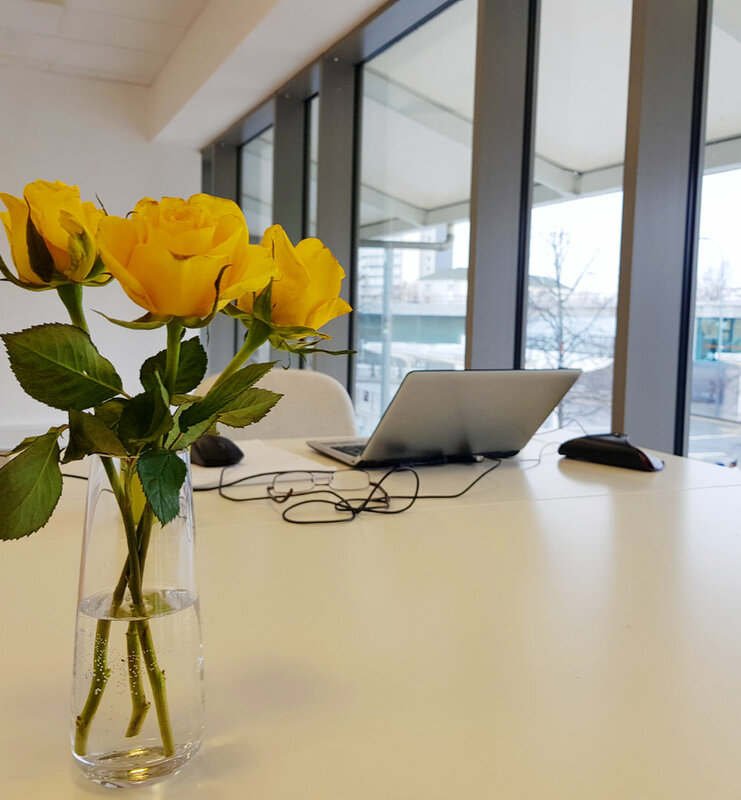 Fantastic air conditioned Flexible Office Space, Hot Desks and Coworking spaces available in prime West London on the boundary of Hammersmith W6 and Shepherds Bush and part of the Westfield London Shopping Centre. 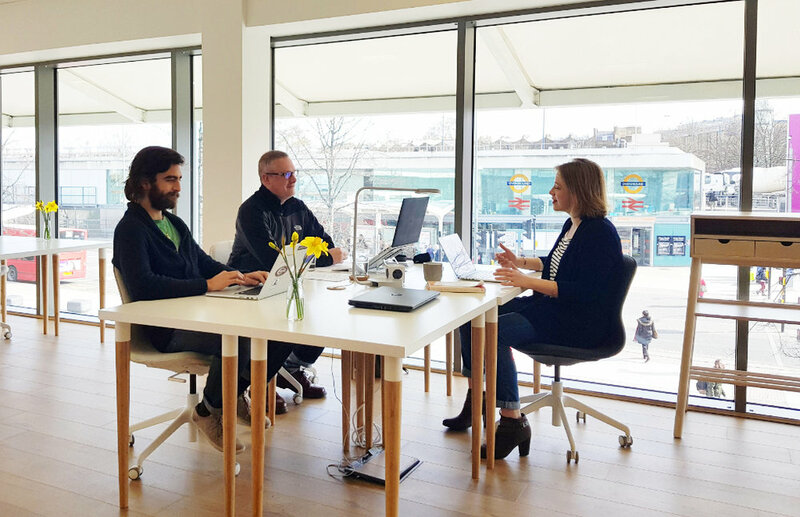 We’re less than 30 seconds walk from Shepherds Bush Tube station, London Overground and bus stations and have office spaces sized up to 2,000 sq ft per company. Our Serviced Commercial Offices, Hot Desks and Coworking spaces are next to the Westfield London Shopping Centre, Europe’s largest shopping centre, with Central London Oxford Circus just 11 minutes away via the Central Line, and Heathrow Airport a close neighbour to the west, gateway to Europe and the world. Serviced offices help your business be more agile and preserve capital, allowing you to employ more staff with the ability to shrink and grow as needed. Being more adaptable to market conditions and providing a high quality environment for your staff. Our offices near Hammersmith will help you attract and retain talent with amenities such as air conditioning, showers, bike racks, bean to cup coffee, part of the Westfield London Shopping centre, Europes largest, with over 60 places to eat lunch and a 20 screen multiplex cinema. Our friendly business community comprise of a wide variety of multi-disciplinary companies, startups, sole traders, freelancers and independent workers - great for collaboration and sourcing skills required for your business, or simply asking advice from a professional. As part of the workspace you'll have access to the communal breakout areas, eating and relaxation areas, meeting booths, and showers. We can provision office space sizes starting from a single Hot Desk or Fixed desk, to private offices starting at a 4 person office upwards to a 20 person office or more depending on space availability at the time of your enquiry. We can also upsize or reduce your space providing more or less space per person for businesses that need more or less room to work. Ask us and we can provide you with a fully customised office solution in the event our standard office layouts do not suit your business operations. Our modern, flexible and affordable‎ office facilities and services consist of all the conveniences expected in a high quality Grade A office space environment in London. Fully stocked kitchen with state of the art oven, grill, microwave, filtered chilled and boiling water, Bean-to-cup coffee, teas, ice maker - great for iced coffee, nutribullet, frappe maker for chilled frappe coffee and milkshakes, and all the usual condiments for adding to foods. Everything you need to prepare your own lunch just as if you were at home. Condiments such as olive oil, salt, pepper and herbs are all included together with dishes, cutlery, mugs and drinking glasses. A selection of dairy and non dairy milks are included, including Almond milk. If there’s something you need, let us know and we’ll stock it for you. 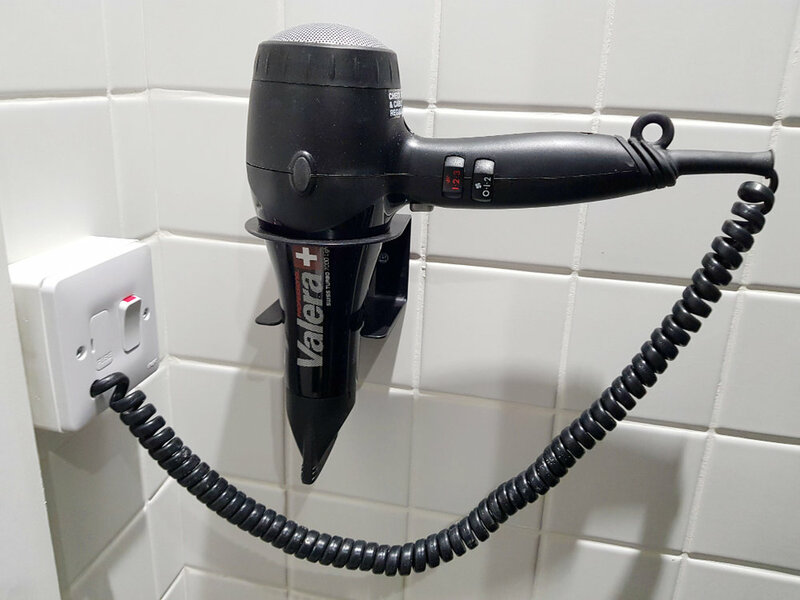 Large new luxuriously appointed private shower room with hair dryer and plenty of room for seating and changing / airing clothes. Comfy chairs for relaxing and reading, large communal kitchen table which can also be used for impromptu meetings, handling large format paper schematics and collaboration. Comfy acoustically isolated and bookable phone booths for privacy and quiet for your phone/skype calls or meetings for up to 4 people. Free to use for up to 2 hours per day. Also great for some quiet focused time. Enterprise class fibre internet and wifi technology monitored 24 hours a day by telecoms professionals. 1Gbps symmetric download and upload speed fibre internet connection and the latest 5GHz 802.11ac solid and stable wifi. Cat 5 Ethernet cabling also available for use with Voice Over IP (VoIP) phones, teleconferencing, and other devices that require a wired connection if you so wish. A fully redundant backup internet means that your internet connection is always up and available even if the primary fibre optic lines are severed. Security card access at any time of night and day including weekends, you can come and go as you please without restriction. We are always open to members, even on bank holidays. Fantastic new Delonghi Magnifica Bean to Cup cappuccino maker with fresh Lavazza qualita rossa roasted coffee beans makes great Italian espresso and cappuccino every time. A wide selection of free biscuits every day. Including milk digestives, dark chocolate digestives, custard creams, bourbons, hobnobs, jammy dodgers, fig rolls, garibaldi. Special treats every Friday! Enjoy a variety of black teas, green teas and herbal teas such as Camomile, Peppermint, Lemon & Ginger and other speciality teas. State of the art ultra-fast full-duplex colour printing & scanning on high quality 100gsm paper. 160gsm and 200gsm paper card options also available. Scan or photocopy one sheet or 50 sheets simultaneously using the Automatic Document Feeder. Keyless combination lock security lockers sized 45cm x 30cm x 30cm for storage of laptops, sensitive data and paperwork. Big enough for a medium sized rucksack or luggage. No keys to lose or worry about, just use your own private PIN code. Unsecured storage boxes sized 30cm x 30cm x 30cm - as many as you need. Useful for books, magazines, paperwork and anything else that does not require to be locked away. The office stationery cupboard is full with everything you will need for running your office stationery needs, including staplers, scissors, pens, pencils, rulers, envelopes, rulers, hole punch, screen wipes, tapes, paper cutters, guillotines, laminators, thermal binders, post-its and so on are all provided for you in the communal stationery cupboard. Registered company address, trading address, receiving of mail. Optional mail notification, mail forwarding or mail scanning & email. You can trade from the address, receiving letters and packages and also use the address as your official UK company registered address filed with HMRC and Companies House. For those moments when you’d like a special snack, but don’t have time to go outside then we have a convenient tuck shop located in the communal area from which you can purchase crisps, popcorn, fresh fruit, protein balls, organic chocolate, luxury nut selections and a variety of healthy snacks. We’ll help you connect your devices to the internet, including providing remote desktop access to your office, VoIP phone systems, and advice on any other infrastructure requirement that you need to install as part of your business workflow. Each member of your company is provided with their own security card to access the building. Access cards can be enabled and revoked immediately at your request. Customers visiting your office can be identified using the video access control system where you can talk to and automatically provide access to your visiting customers. We are part of the Westfield London W12 Shopping Centre which provides 24 hour manned security and CCTV coverage within the building access points and immediately outside the building. Daily professional cleaning of all office spaces, kitchens, communal areas, shower rooms and washrooms, including weekends. Forgot to pack your laptop charger on your way to work? Your iPhone charger? Maybe you need a spare mouse? HDMI lead? Keyboard? Headphones? No need to worry! We are likely to have a spare in the communal cables & adaptors storage box - you can borrow it and save the day! We even have a new chrome laptop with touchscreen and stylus that you can borrow in an emergency. Large IPS High Definition communal monitors are available to borrow if you need for using with your laptop or as a second screen. 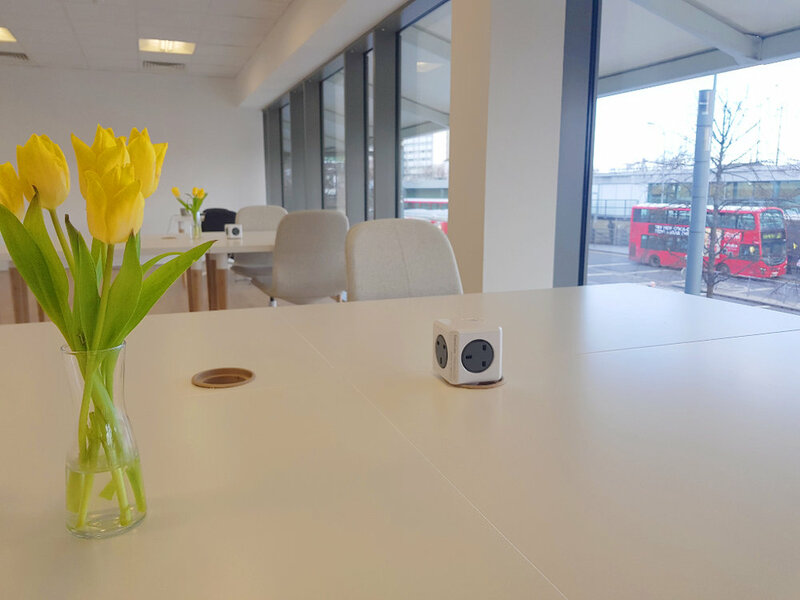 Our high quality offices are furnished with desks, storage, electrical and USB charging connectors, lights and chairs. 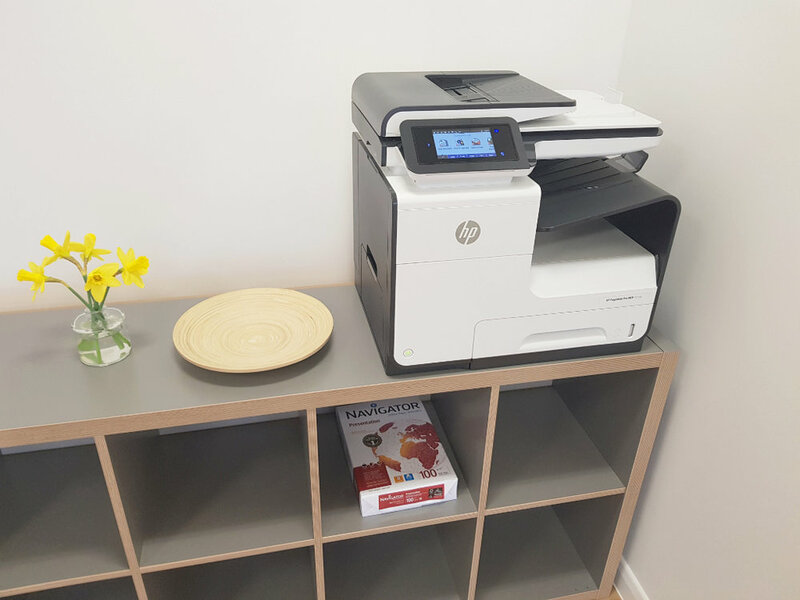 If you wish you can furnish your office with your own items - just ask and we’ll help you design your own space according to your needs. Does your company use Virtual Private networks? Or perhaps you access a supplier or customer network that requires a VPN connection? If so we can configure our routers to your specification providing seamless no hassle VPN usage. If your company has a file or application server with inbound/outbound traffic requirements we can configure our internet routers to provide access to your onsite servers. If you have a clean, well behaved dog then you’re welcome to bring in your furry friend at Rentadesk as we are a pet friendly community! If you need any special port forwarding, port mapping, DMZ provisioning, or any other router configuration, we can do this free of charge provided you supply us with your specific requirements from your IT experts. If you need a secure localised LAN set up for your own office personnel to share information between your own computers locally then we can setup and provide advice and assistance on the best way to do this. Our location near Hammersmith provides an opportunity to enhance brand image due to London's prestigious reputation as a global business hub. It’s far easier to hire high quality staff from the well populated commute zone to the west of London and Thames Valley. Only 27 minutes away by car via the M4 to Heathrow airport making it a global gateway for your business. A single monthly rate for your rented office space, utilities and services. With a price agreed in advance, costs become predictable and budgeting becomes easy. All the normal and sometimes obscure costs due on leased offices are included in the price - including business rates, service charges, cleaning services, utilities, maintenance, security and catering. Need a phone solution for you business? We’ll show you the best options currently available on the market and help you choose the most suitable for your circumstances. Well hand hold you through the entire process of choosing, ordering and installing the best system for your needs. Short term rentals or multi-year leases, it's completely up to you with our flexible workspaces - far more flexible than taking on the burden of a conventional commercial property lease. Move in and out, take more or less space as and when you need to. Change or add services to your membership whenever you like with no administrative fees. Serviced offices are a sensible choice compared to looking for commercial property for let, especially if you are managing a dynamic company that may need to expand operations and would be severely limited to being restricted by a conventional 5 year commercial lease. We allow your business to downsize, expand or relocate with ease, without wasting any of your precious cashflow to do so. 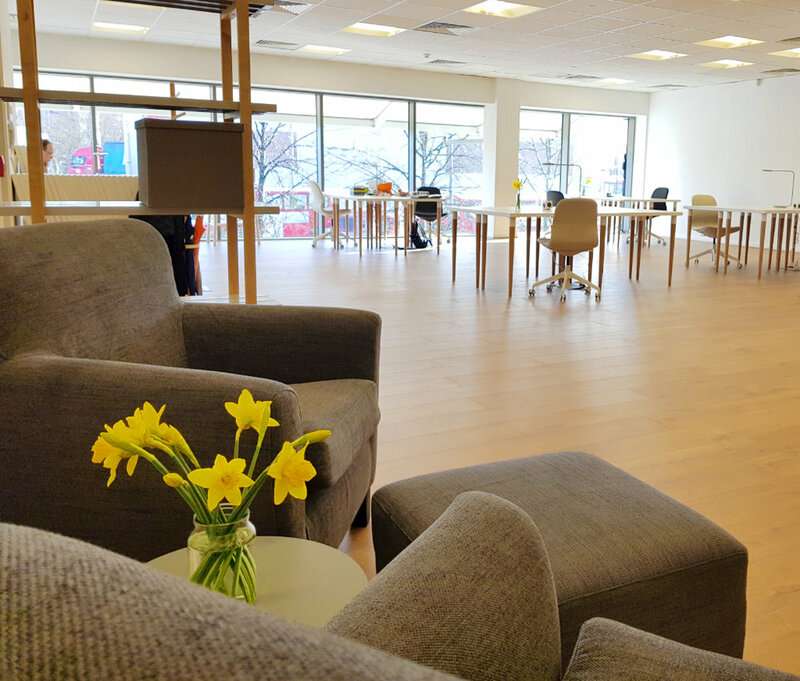 Our serviced offices are completely set up and ready for you to move in immediately - no waiting. There are zero set up costs or exit fees. Simply plug in your devices, desktop, laptop or VoIP phone system and get up and running immediately without delay. All our office facilities are brand new with all new furniture, fittings and amenities. The existence of shared facilities offers opportunities for networking with others in our vibrant and friendly business community. Use your capital on your company’s needs rather than locking it up in deposits and wasted on expensive admin fees - just a rolling monthly direct debit payment automatically debited from your GBP or EUR nominated account. Other methods of payments are available for other currencies - we even take Bitcoin as a payment method. We have special offers and discounts negotiated with the many of the over 300 retail outlets within the Westfield London shopping centre and the surrounding areas in Shepherds Bush and Hammersmith. Similarly with eateries, we have discounts arranged with most of the over 60 places to eat and drink at Westfield London and surrounding areas. If you prefer to drive or to work we’re a 2 minute walk away from secure underground parking where you are billed automatically using a smart parking App. Enjoy a movie whatever the weather at Westfield London Vue Cinema. After work it's just a few steps away to the state-of-the-art Multiplex cinema with 20 screens and 3,000 seats. Hammersmith is a district of west London, England, located 6.9 km west of central london. It is the administrative centre of the London Borough of Hammersmith and Fulham, and identified in the London Plan as one of 35 major centres in Greater London. It is bordered by Shepherd's Bush, Kensington, Chiswick, and Fulham. Hammersmith Bridge, opened in 1887 and is the lowest bridge across the Thames in London, links to Barnes in the southwest. The area is one of west London's main commercial and employment centres. It is a major transport hub for west London, with two London Underground stations and a bus station at Hammersmith Broadway. For fabulous theatre shows, the Lyric Hammersmith is your first port of call. The theatre hosts big productions and children's shows. It also has a roof garden that hosts summer barbecues. The area is on the main A4 trunk road going west towards the M4 motorway and Heathrow Airport - perfect for national and international business travel. The A4, a busy commuter road passes over the area's main road junction, the Hammersmith Gyratory System. 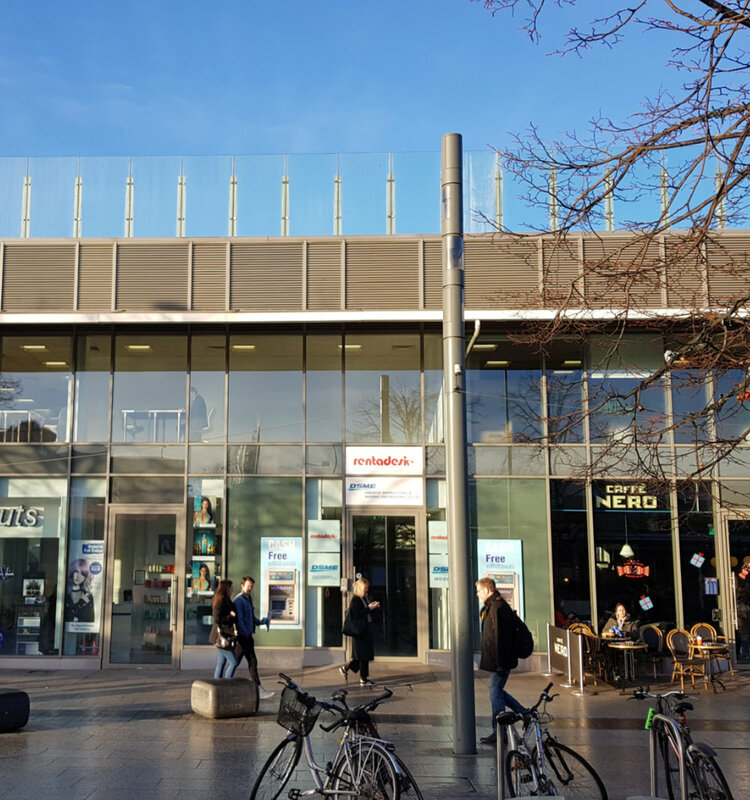 Located near Hammersmith on its northern border with Shepherds Bush we’re just a 30 second walk away from Shepherds Bush Underground, Shepherds Bush Overground and bus stations. Exiting the Central Line, turn left out of Shepherds Bush tube station, we're the first door before Cafe Nero. Press the Unit C401 button, wait for the 'Door Unlocked' audio, then push the door open, walk up to the 1st floor and turn right - we're straight ahead. 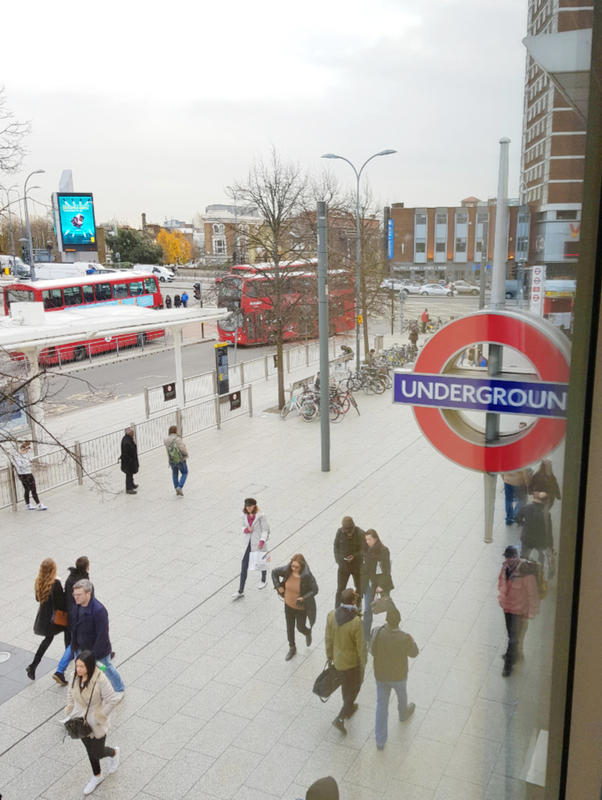 We're also within five minutes walk from nearby Shepherd's Bush Market tube station on the Hammersmith & City Line. The Shepherd’s Bush Overground Rail station has direct connections to Willesden Junction, Kensington Olympia, West Brompton and Clapham Junction. Services run every 15 minutes in each direction Monday to Saturday, with 1-2 trains each hour on Sundays. SATNAV directions - use postcode W12 7SL to be directed to all Westfield London car parks. Motorcycle and scooter parking is free, simply drive past the barrier and enter Car Park A. Please park your motorcycle or scooter in the designated areas in Car Park A (Level -1). When you're ready to leave, just pass the barrier and exit. Your Uber driver will arrive and depart outside Westfield London Lift Lobby 2 in Car Park A (Level -2). When you're ready to head home, request a ride through the Uber app and meet your driver there. If requesting UberLUX, please wait in the Valet Parking area on the same level. The Westfield London Lounge is in Lift Lobby 2 on Car Park (Level -2). We recommend booking in advance to avoid any delays to your journey; alternatively the Westfield Guest Services team will be happy to assist you. There are secure bicycle parking facilities at Shepherd's Bush Central line station and directly outside the office building.